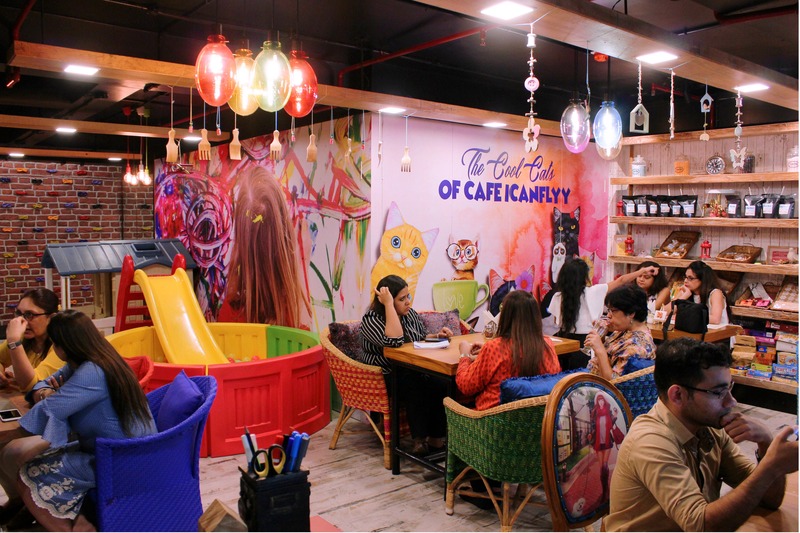 Since its inception, Cafe ICanFlyy has always stood out – for their food and staff comprising special needs people. Now, with an extended cafe section, a new play area and menu additions, their awesomeness is soaring higher. When there’s more space, there’ll of course, be more fun and more chill. ICanFlyy’s new section is in fact almost double of the original cafe space, and boasts of a new play area and an extended cafe. A ball pool, a big doll house and a wall climbing section, this area is perfect to keep your kids hooked while you can chill in the cafe adjacent to it. And if you have the company of a slightly older kid, then there’s a rack of new board games to keep her/him entertained. Colourful, bright and lined with cute decor accessories, this place sings of happy cheerfulness that’ll definitely appeal to the old and young alike. We’ve been a fan of ICanFlyy’s food since our first visit, and keeping up to the expectations, their new menu is packed with deliciousness. We loved their Americano and Vietnamese Coffee, but if you’re not a coffee person then try their watermelon mojito or Ferrero Rocher frappe. When it comes to nibbles, you’ve got to try their peri peri chicken jalepeno burger or their English mustard chicken sandwich. If pizzas cut the deal, then do try their super-crisp Roman pizza. Drinks from the new menu are priced between INR 140 – 240, and the food is priced between INR 150 – 300. So, while you chill with your friends, the kids can have a good time in their outdoor area that has a new foosball and air hockey table.